Good album and all pieces fitting back together.<br><br>4th UK top 10 album. 1 week in UK top 100.<br><br>1 week UK top 10. UK#7.<br>2 weeks German top 10. Germany#2.<br>Scotland#3.<br>Hungary#8.<br>Poland#20.<br>Ireland#25.<br>Czech Republic#47.<br><br>Taiwan#1 (1 week).<br>2 weeks Japanese top 10. Japan#2.<br><br>2 weeks top 10. World Chart#2. nr.2 in Duitsland nr.3 in Belgie nr.4 in Nederland nr.1 in Taiwan................wat een succes.Wie had dat verwacht.Erg leuk. Don't Go Breaking My Heart ***** <br>Nobody Else ****<br>Breathe *****<br>New Love ****<br>Passionate ******<br>Is It Just Me ******<br>Chances *****<br>No Place ****<br>Chateau ****<br>The Way It Was *****<br>Just Like You Like It ******<br>OK ***<br><br>Really good album with some modern but typical BSB songs.<br>Good mix of different music styles. Zeldzame troep. Parasiteren op een naam zonder kwaliteit te leveren. Ein sehr heterogenes Album mit Bewertungen zwischen 3 und 5. 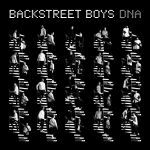 Dass eine Boyband wie die Backstreet Boys 23 Jahre nach ihrem Debut immer noch in der Lage sind, ein Nummer-1-Album herauszubringen, verdient Respekt.